Our longest serving volunteer, Duncan Mak marks his 10th anniversary at the Center. Duncan’s portfolio is quite impressive! 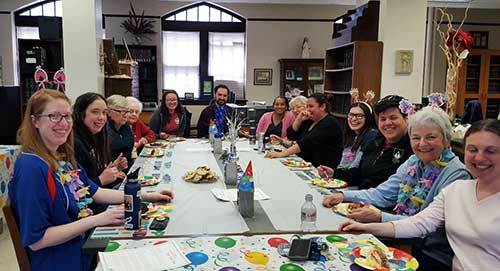 He has worked on various collections such as the Lay Dominicans of the Central Province of St. Albert the Great and Las Casas: Dominicans in Ministry with Native Americans. He monitors the document room’s climate control daily. Duncan was everyone’s right hand assistant for the In Our Keeping Conferences. Duncan is an excellent proofreader, a skill that he generously shares! 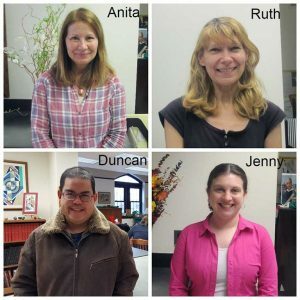 Duncan is a man of few words so he simply states that he enjoys working in the McGreal Center because it is “harmonious.” We all hope that Duncan is here for our twenty-fifth anniversary! 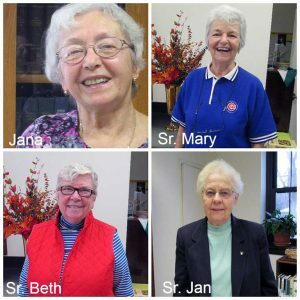 Three Dominican sisters arrive to the Center every Tuesday, Sisters Mary Kremer, Beth Meegan, and Jan Brynda, who drives from the Southside! Sisters Mary and Jan taught in the Dominican University’s School of Education. Sr. Beth served as an elementary school principal and was a Superintendent of Schools in various dioceses. These seasoned educators work on the annals of the Dominican Monastery of Union City, NJ. 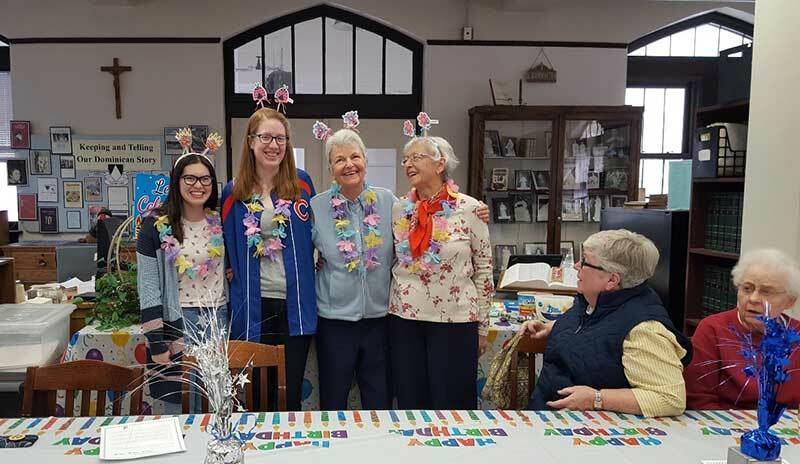 They have a deeper appreciation of the cloistered nuns who lived 100 years ago and have a better understanding of both the change and continuity in Dominican life. The sisters experience the McGreal Center as an invigorating place where a spirit of study prevails. They also bring a great spirit of fun and laughter to the Center! Jana Galos, a native of Czechoslovakia, came to the U.S after the Soviet Union’s invasion of her country. She describes the Center as “sunshine.” She also enjoys working on Union City documents because it “opens a new world of knowledge, about U.S. Dominican life.” She appreciates the sacrifices the nuns made and laments the hard decision to close a monastery that existed for over 120 years. Ruth Bulinski is a “Jill” of all trades. Ruth keeps the Center beautiful as she decorates the Center for every holiday and tends the plants! She also works on the Las Casas Collection. Ruth is inspired by the dedication of the sisters, laity and friars who refused to give up their work with the Native Americans. Ruth, a community builder, recruits volunteers and recently invited Anita Morgan to join our Team. Our volunteers contribute so much to the vitality of the McGreal Center! Archivist Aaron Reisberg describes us as a loving family. Consider volunteering! 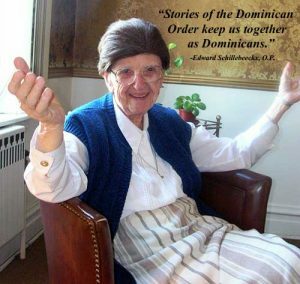 Be a member of this extraordinary Dominican family! Read more on our Facebook!